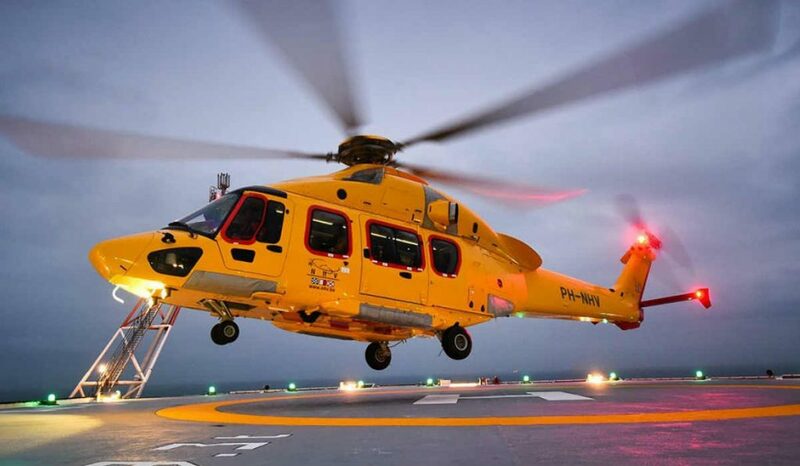 The NHV Group was awarded a five-year contract with Dana Petroleum to provide helicopter services to its central and northern North Sea assets. This deal comes a week after NHV reached a new contract with Nautical Petroleum to provide helicopter services in support of its upcoming drilling project at the Ekland Field. Under the new Dana Petroleum contract, daily flights will depart from NHV’s base in Aberdeen to the Triton FPSO in the Central North Sea and Western Isles FPSO in the East Shetland Basin. This also signals the start of NHV’s longest range scheduled flight using an Airbus H175 in support of the Western Isles FPSO. NHV explains it will add a brand new H175 to its fleet in Aberdeen to support its new customer. The contract award has also created a number of employment opportunities at NHV’s Aberdeen base. Airbus Helicopter’s super medium H175 is designed to meet mission needs in the oil and gas industry. As the launching operator for this aircraft type, NHV’s H175s have accumulated more than 23,000 FHRS in the United Kingdom, The Netherlands, Ghana and Denmark since 2014. The NHV Group ultimately will increase its fleet to 16 of these new-generation helicopters. On May 31, NHV announced a new contract with Nautical Petroleum, a wholly owned subsidiary of Cairn Energy, to provide helicopter services in support of its upcoming drilling project at the Ekland Field. The operations are expected to start in early summer. Flights for this contract will also depart from NHV’s base in Aberdeen to the Ekland Field, which is approximately 120nm east from Aberdeen. H175 aircraft will also support this project. Based in Ostend Belgium, NHV conducts operations out of several bases on two continents with a team of over 550 employees and a fleet of more than 60 helicopters.